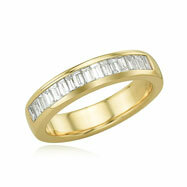 Modern and magnificent. 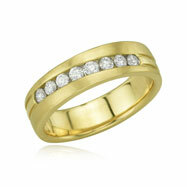 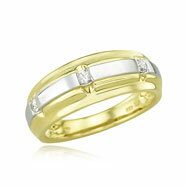 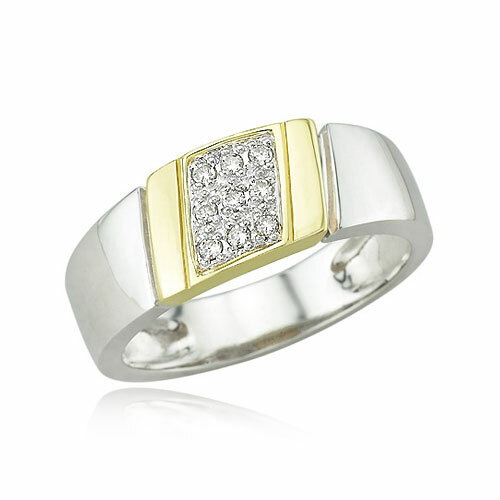 A White Gold band features a Yellow Gold square section at its center with shiny, round Diamonds set in the middle. 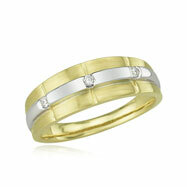 Also available in ladies'.